The Leonberger dog breed isn’t the most popular in the United States and you probably never heard of them. They came from Leonberg, Germany in the 1800’s. 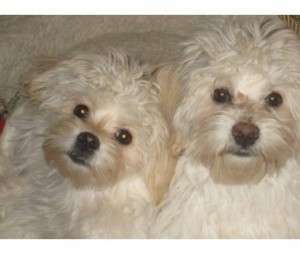 They nearly went extinct during World War I and was brought back slowly by two dog enthusiasts. 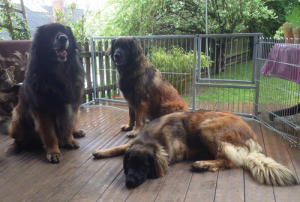 Leonberger dog’s cousins are said to be the Newfoundland, Great Pyrenees and St. Bernard. Yep! you guessed it, these dogs will be great shredders just like their cousins. Your Leonberger puppy will soon have a double coat which will need regular brushing to minimize the shedding. Leonbergers come in some of the most beautiful coat colors that you can possibly imagine including red, reddish brown, yellow, sand and black mask. Personally, I love the black mask as it aids to their lion like appearance. Their coat is also water proof which helps them while swimming. The Leonberger dog is considered a large breed and an athletic one at that, their lion like appearance really suits them. Their deep barks and intimidating appearance alone will keep strangers at bay. They are much more active and vibrant than most large breed dogs. A male Leonberger puppy will be larger and more masculine looking than a female Leonberger puppy. Leonbergers are large muscular dogs that can weigh anywhere from 100 pounds to 175 pounds. They stand 27 inches to 31 inches tall and have a maximum lifespan of 10 years. They have deep chests and very muscular legs. Today, Leonberger dogs are used as therapy dogs, tracker dogs and they also take part in weight pulling sports. Leonbergers love cooler climates and needs space to run around. They are generally not the best apartment dogs due to this fact and because they are heavy shredders. Leonberger puppies can be hard to find and puppies from reputable breeders can cost up to $2000 dollars. The health problems these dogs can be faced with include hip dysplasia, arthritis, cracked cartilage, curled eyelid and bloat. 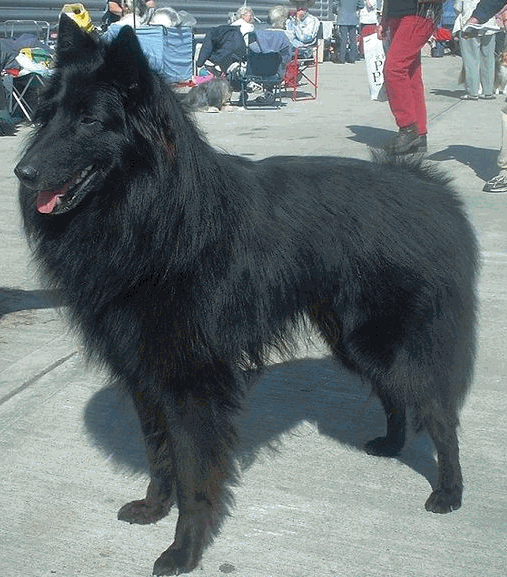 Bloat in Leonbergers can be prevented by feeding small amounts at a time in an elevated bowl. Since Leonbergers are prone to bloat, exercising immediately after eating should be prevented. If you wish to learn more about this dog breed or to find Leonberger breeders, you can visit Leonberger Club of America website. 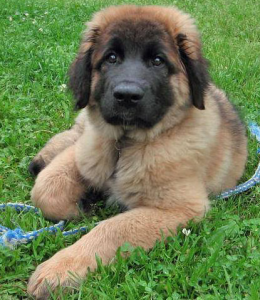 Now that you found your hard to find Leonberger puppy, here is some information on their care. Did you know that your Leonberger puppy will love water and that they have webbed feet? This is good news for those of you have swimming pools or live near water. A Leonberger puppy is a great addition to a family, they are very good with kids. 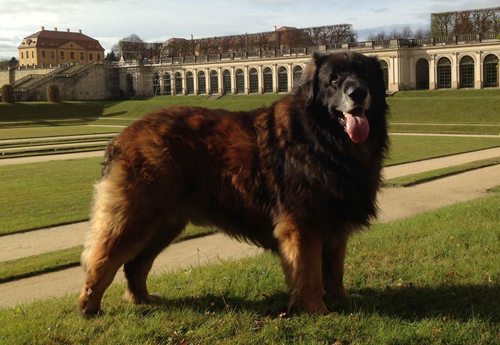 Leonbergers are not aggressive toward people and they have friendly personality toward humans. However, it is generally not a good idea to get two male Leonberger puppies as they can be dog aggressive and can fight over dominance. They should be socialized with people and other animals to reduce unwanted aggression. Leonberger puppy owners must be strong willed individuals who exhibits pack leader qualities. Your Leonberger puppy is likely to test you as they mature and a bold owner must withstand these tests. A Leonberger puppy can be a handful sometimes as they love to jump up on you and can be destructive if left alone. These puppies also love to dig holes all over your backyard. Basic training should be taught while they are young, it is also a good idea to send them to puppy school if you don’t have the time to train them yourself. Because of their strong willed character, these dogs do well on positive reinforcements and a lot of patience. You must keep your Leonberger puppies occupied at all times. This is the time to make use of the Kong Toy by stuffing treats into them. 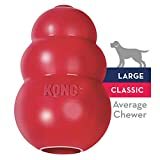 The Kong toys are a gift from god to all dog owners as it can keep any dog busy for hours! Your Leonberger puppy should only be given a bath if absolutely necessary! Over bathing can destroy natural oils in their skin and cause it to become dry and flaky. Leonberger dogs can be fed a good quality dry dog food which is intended for large breed dogs. I personally recommend the Hill’s Science Diet Adult Large Breed Dry Dog Food Bag, 38.5-Pound for your adult Leonberger and Hill’s Science Diet Puppy Large Breed Dry Dog Food, 30-Pound Bag for the puppy. I would love to hear more about the Leonberger dog breed from dog owners all around the world. Do you own a Leonberger? Where did you find your Leonberger puppy?